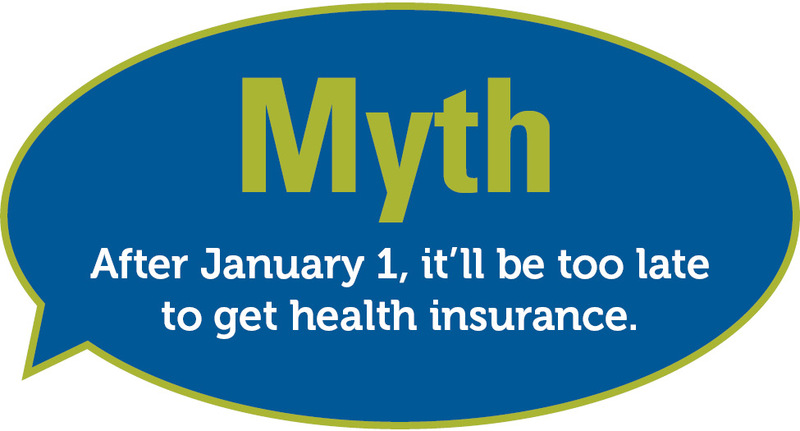 Myth: After January 1, it’ll be too late to get health insurance. 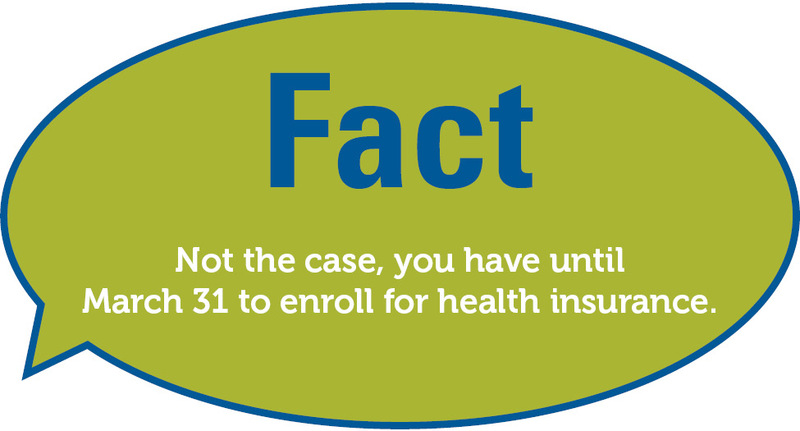 January 15: The deadline to enroll for insurance and have your coverage start on February 1. March 31: The deadline to enroll for insurance and avoid a tax penalty. If you wait until March 31, your health insurance will kick in on May 1. To learn more about the Affordable Care Act and how you can get covered, check out HealthCareLawGuide.com.